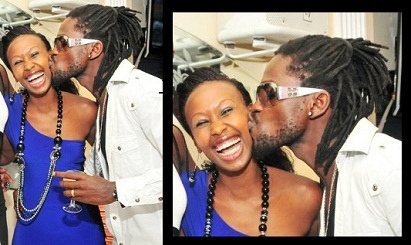 Unlike Bebe Cool, Bobi Wine was well equipped on Valentine's day with his wife Barbie as they together headed to Guvnor for the 'White Carpet Valentine Ball' and while there, the two were in public display of affection. Bobi and Bebe were at the same venue but they maintained a good distance from each other. Some revellers maintained that Barbie was all fired up throughout the night before staggering out with Omubanda to their mansion in Magere. Meanwhile, Barbie who is to launch her first book titled 'Golden Memories of a Village Belle' that has all those hidden secrets about her while growing up will be launched next month.